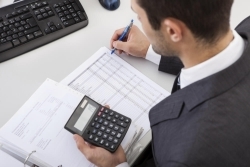 From new business start-ups to established enterprises, all kinds of small businesses rely on Deerfield, IL CPA firm Frank Haas & Associates, Ltd. for bookkeeping and accounting services. When you become our client, we’ll become a valuable resource for clear and accurate financial information that will contribute to the success of your business. You’ll receive the tools you need to manage expenses and optimize cash flow including meaningful financial statements and dependable advice. And when we start managing your finances, you’ll have more time to work with existing clients and bringing in new ones. At Frank Haas & Associates, Ltd., we take great pride in providing high quality accounting solutions to our clients. We get to know you and become an insightful financial partner who really understands your goals and challenges. We strive to learn about your pain points and find practical ways to improve efficiency, streamline accounting processes, and save money. We’ll put together a customized package of accounting and bookkeeping services that’s geared toward the specific requirements of your small business. No matter what services you choose, you'll get fast, friendly, personal attention from our staff. Call 224-904-3926 now or request a free consultation.